Flip a coin. If heads, the opponents pokemon is confused. If tails, this pokemon is unable to attack for 1 turn to cool down. 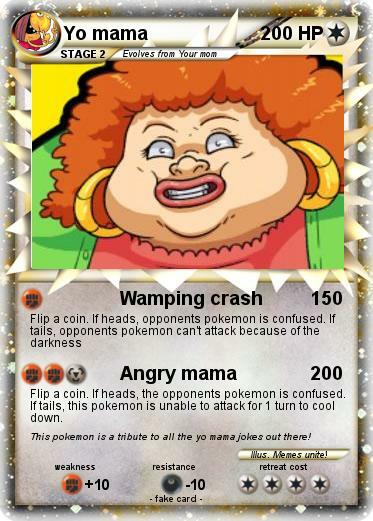 Comments : This pokemon is a tribute to all the yo mama jokes out there!